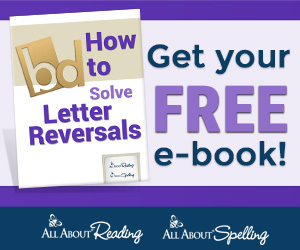 It is back-to-school time, and that always leads to fall around here! 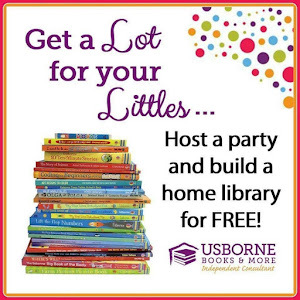 Hard to believe summer is nearly over, but to help prepare for the change in seasons I have some fall fun to get you started! 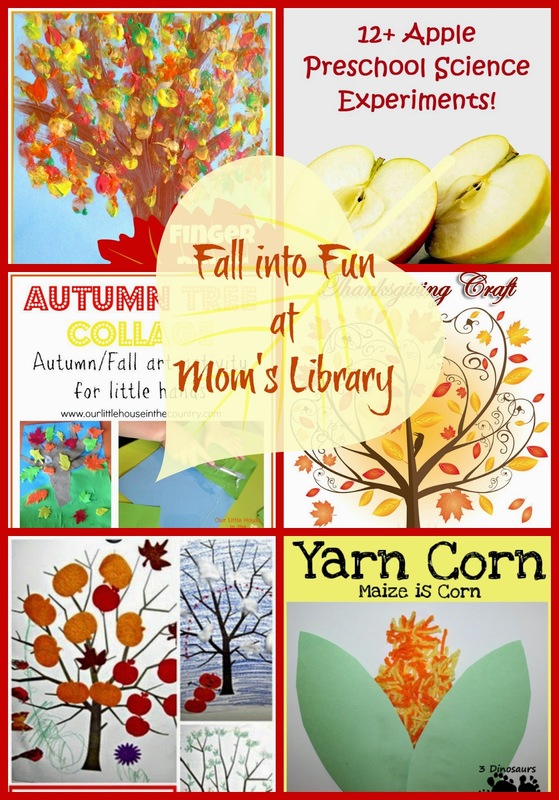 My Fall Time Features This Week!!! 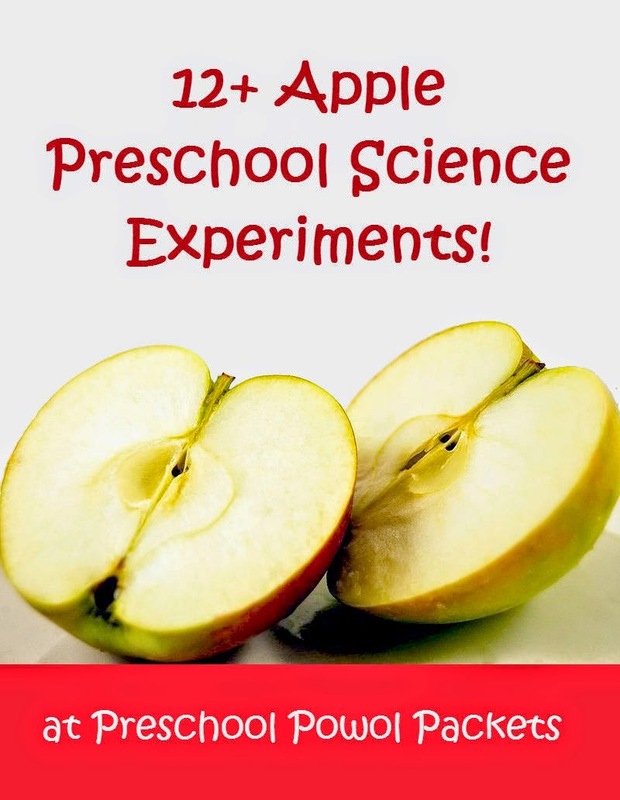 Preschool Powol Packets has some fun apple experiments! 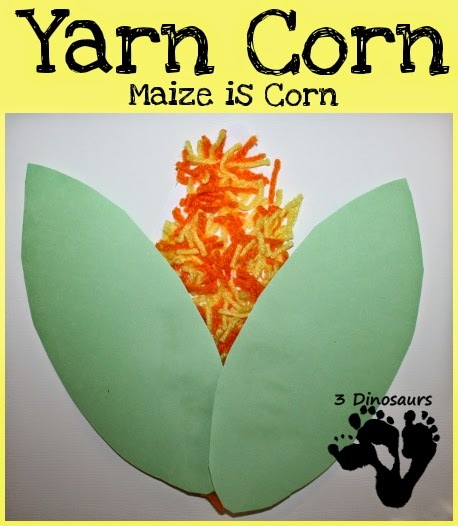 3 Dinosaurs made some yarn corn! 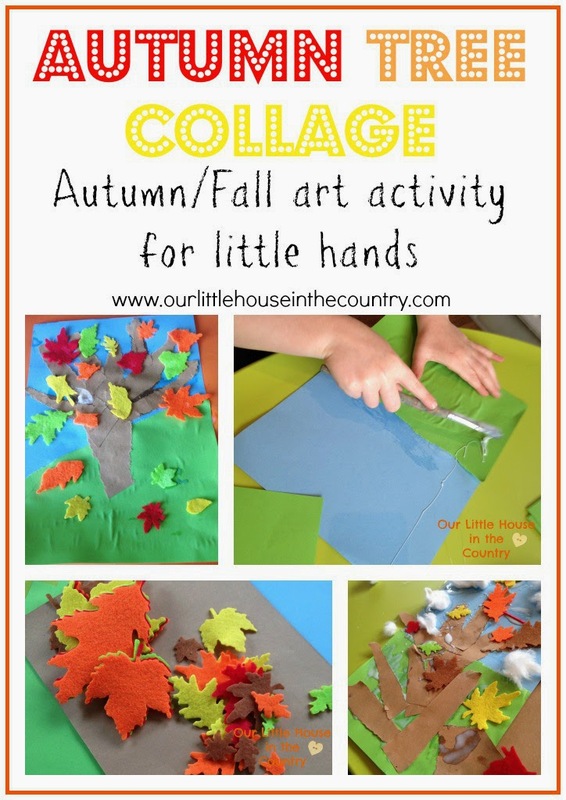 Our Little House in the Country created some Autumn Tree Collages! 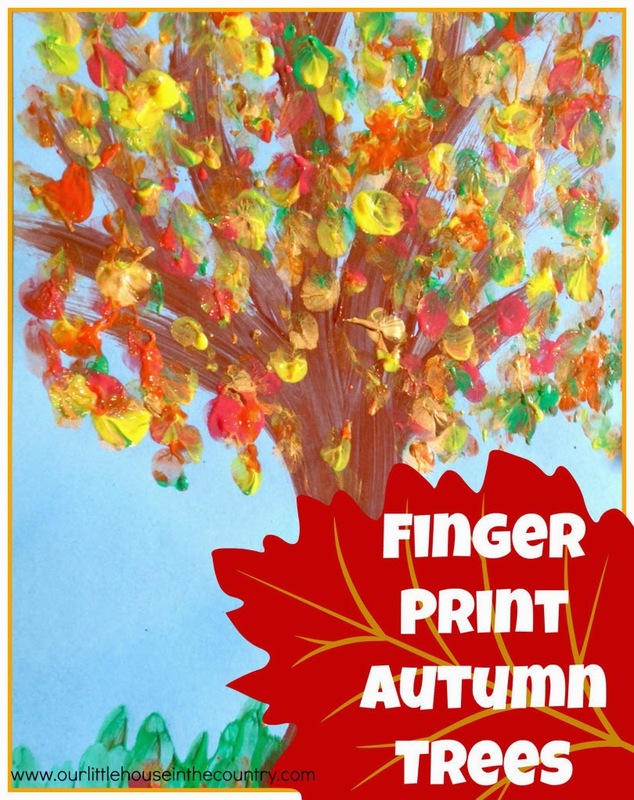 Our Little House in the Country also made some Finger Print Autumn Trees! 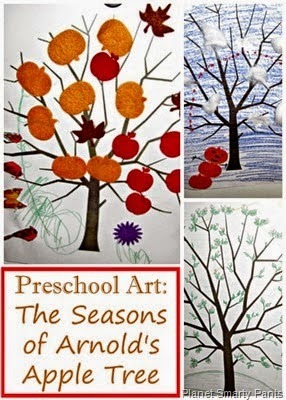 Planet Smarty Pants talked about all the Seasons an Apple Tree goes through! 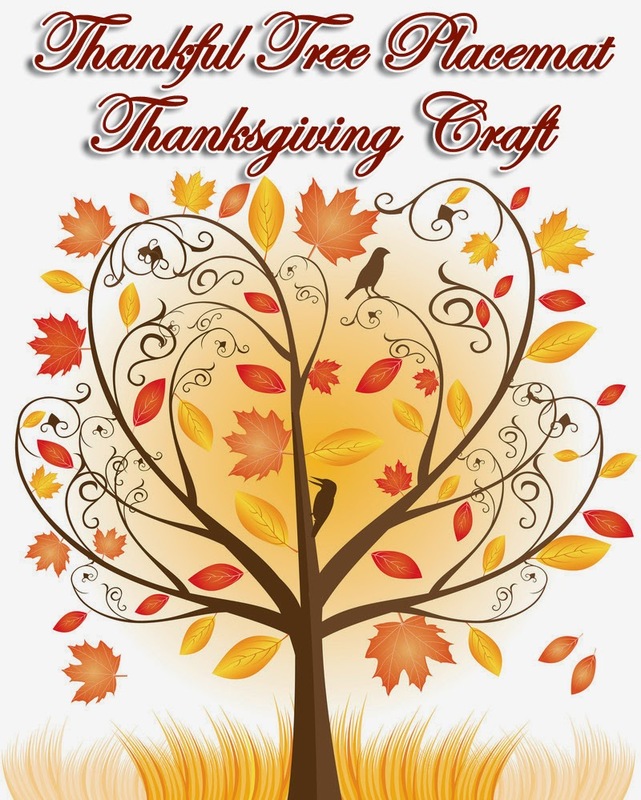 Christianity Cove is looking way ahead to Thanksgiving with a Thankful Tree Placemat!